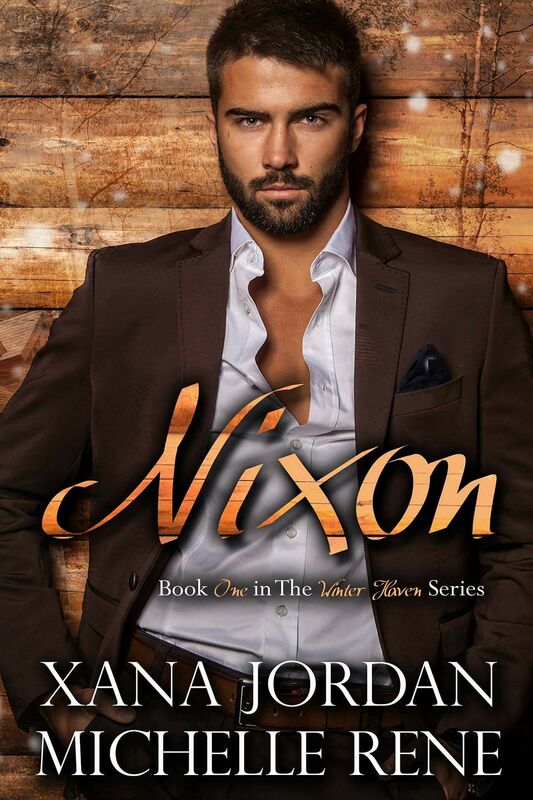 Nixon by Xana Jordan and Michelle Rene, set against the backdrop of a ski resort in the breathtaking Colorado mountains, is the first book in their Winter Haven Series and follows the romance of Walker Nixon Buchanan and Kennedy Russell. This book is exquisite, it has all the feels, way way too many feels actually, but in a good way – happiness, sorrow, fun, laughter, courage and most of all love – in all its magical forms. Nixon is the oldest of the Buchanan siblings, all of whom have been recalled to their family business – the Winter Haven Ski Lodge – to help run it. At 27, he thinks he knows what he wants, which is all well and good until shortly after his return he, unexpectedly, rescues Kennedy – lead ski instructor at the lodge – from a drunken punter at a local bar. Their connection is instant, their attraction undeniable, but Kennedy has no idea Nixon is her boss’s son. Neither does Nixon know of the heartache in Kennedy’s past, and for a while it seems as though their blossoming romance will be over almost before it has started. Destiny, however, doesn’t take kindly to being thwarted and a love as powerful as theirs will take more than a few obstacles to be extinguished. Nixon and Kennedy are beautifully drawn. Both are independently minded, strong people, who consider their lives complete, until the moment they meet and suddenly, a piece they never realised was missing, falls into place. The thing I adored about this novel – other than Nixon who is drool worthy – is there are no outside forces trying to tear Nixon and Kennedy apart. No jealous ex’s or malicious co-workers or possessive friends. Their family and friends are genuinely warm, loyal and supportive people, whose joy in the love Nixon and Kennedy share is sincere. It is so refreshing to read a book without my stomach getting all tied in knots for fear a nasty piece of work is lurking, determined to destroy that elusive HEA. Xana Jordan and Michelle Rene have collaborated to produce a story, which flows effortlessly; the interplay amongst all the characters spontaneous and natural. This is reflected throughout the book in the language and dialogue which are completely uncontrived, yet somehow inclusive, making me feel as though I’d always been part of their lives. Nixon is the first in the Winter Haven series; I couldn’t put it down, totally engrossed from the first page, to the last word and am eagerly anticipating the next instalment. Highly recommended for anyone who enjoys an eloquently, poignantly, utterly wonderful, romance.